Devi (Chennai, India) on 28 October 2014 in Miscellaneous and Portfolio. Oh no, just don't fall down! You will not be able to say that you do not know. Great shot for ST.
Have a good day and happy ST. Nothing left to chance here . .
A good reason to be cautious. 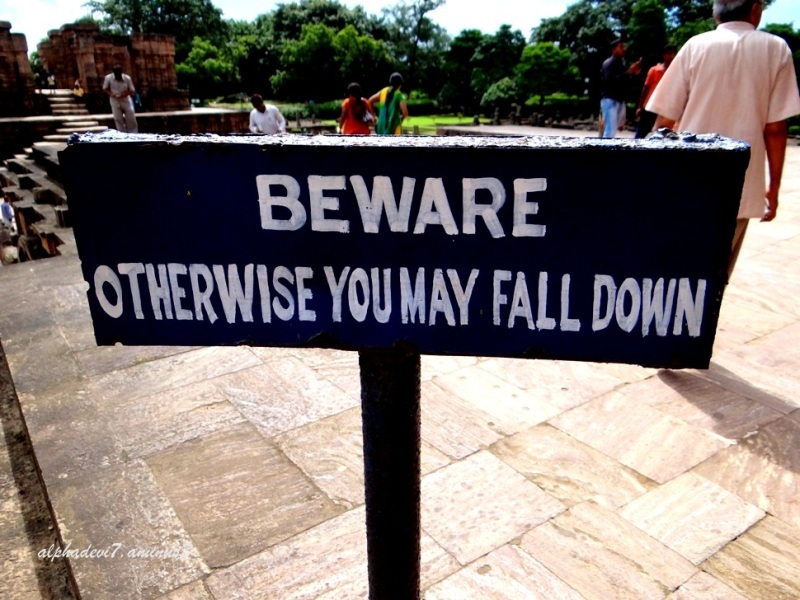 A straight forward warning! Neat spot. That sign is sure to get one's attention! Happy Silly Tuesday! That sign is to the point! Am happy to see that you have time for a little humour Devi!! !